Baseball fields are visible from the road. Soccer fields are behind the baseball fields. SCAA Field 11 Head to the RIGHT of the complex after turning in from Choate Circle. Park in the parking lot where the Community House is located. 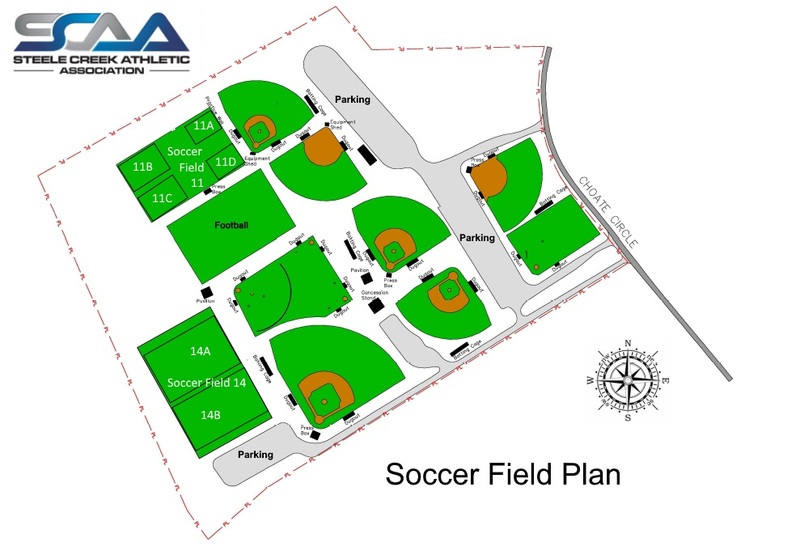 7U Field 11B & 11C fields will be on your right as you approach the Press Box. SCAA Field 14 Head to the LEFT of the complex after turning in from Choate Circle. 9U Field 14A & 14B into the back parking lot. You will see the soccer fields.